Earlier this week I mentioned my newest project, a collection of photographs that remind me of my childhood. 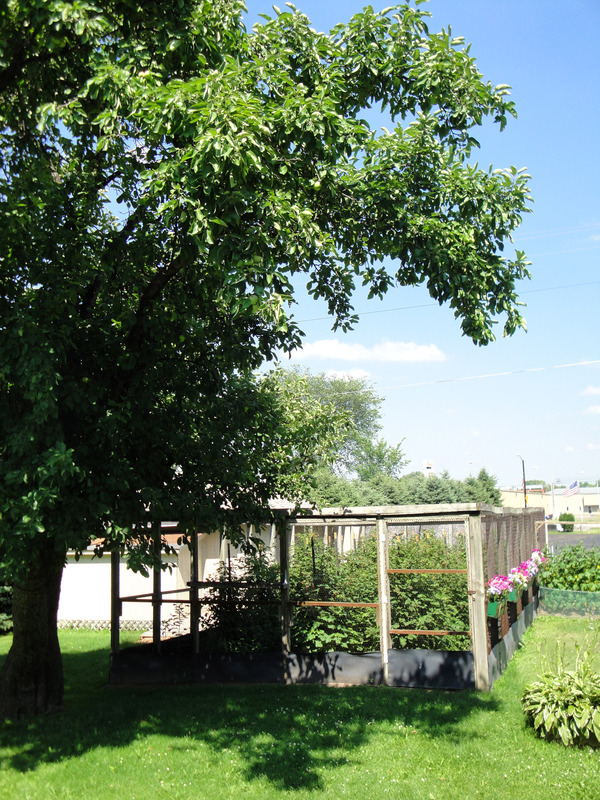 Today, I have some more of those photos to share with you. 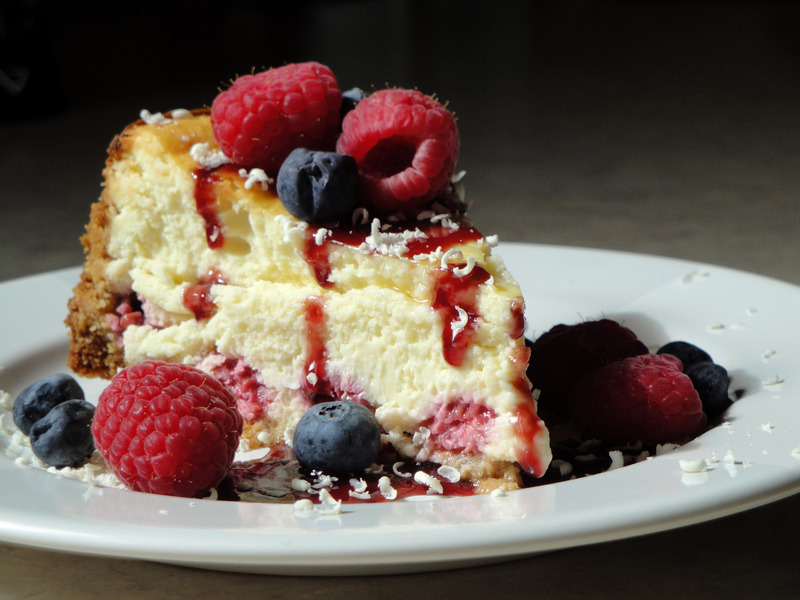 …along with an amazing cheesecake recipe! Do any of you remember the “Walking with Grandpa” poem? When I was young, I gave that poem to my Grandpa…one of my favorite people on earth. Not only did I like to “walk” with Grandpa, or “Papa”, as my sister and I called him, but I loved our Saturday morning trips to the dump in his old pick-up (yes, we were easy to please), going to lunch at “Mr B’s” and “stirring” our ice cream until it was runny, watching the Johnny Carson Show, and maybe most of all, picking raspberries in his raspberry patch and selling them on the sidewalk! 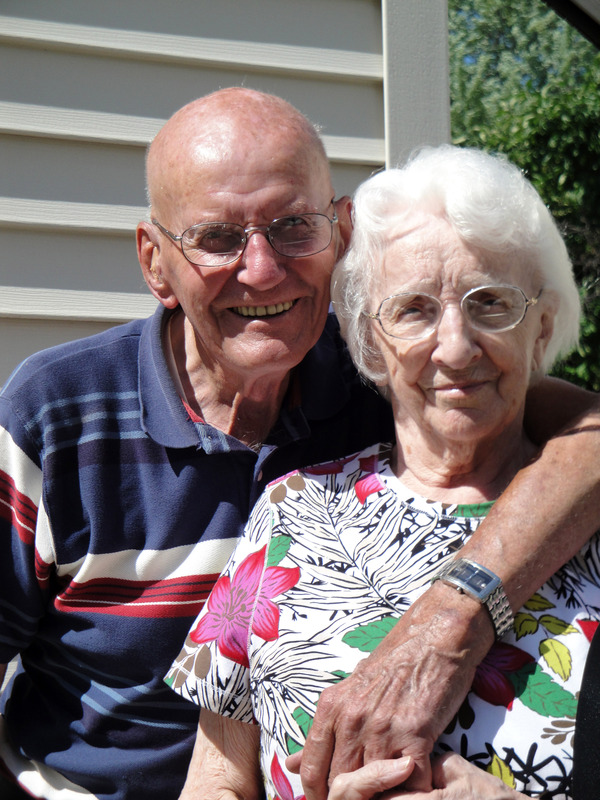 Grandpa might be going on 92 yrs old…but he is just as lovable and determined as ever. 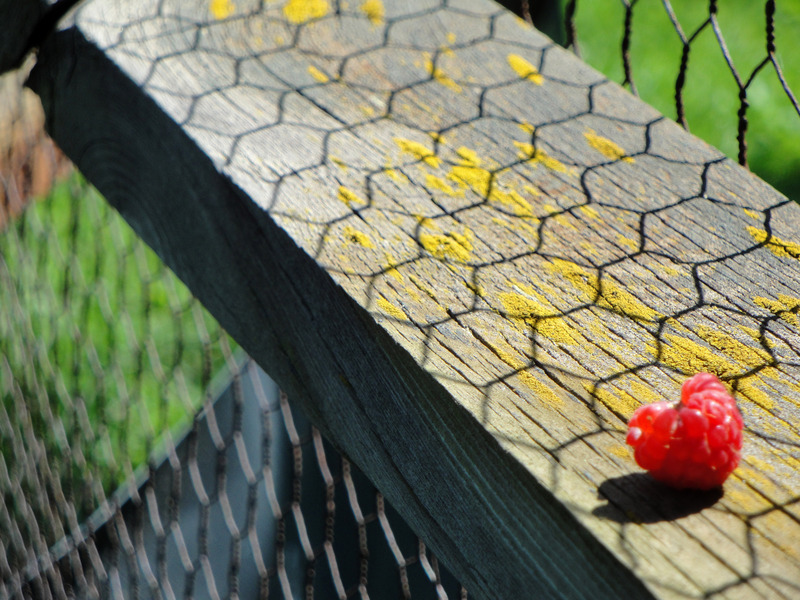 And his raspberries…they are still going strong as well! 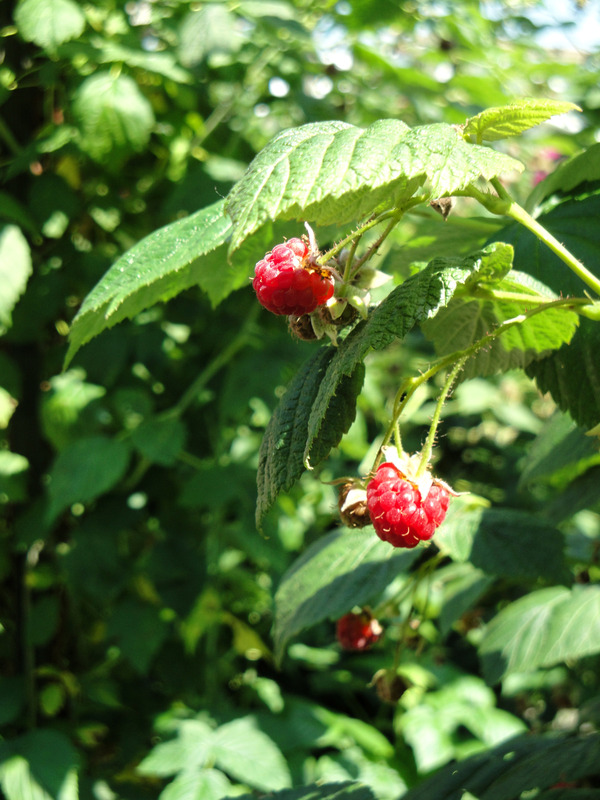 I wish I could describe just exactly how it feels to walk into his raspberry patch. Suddenly, I am a child again. 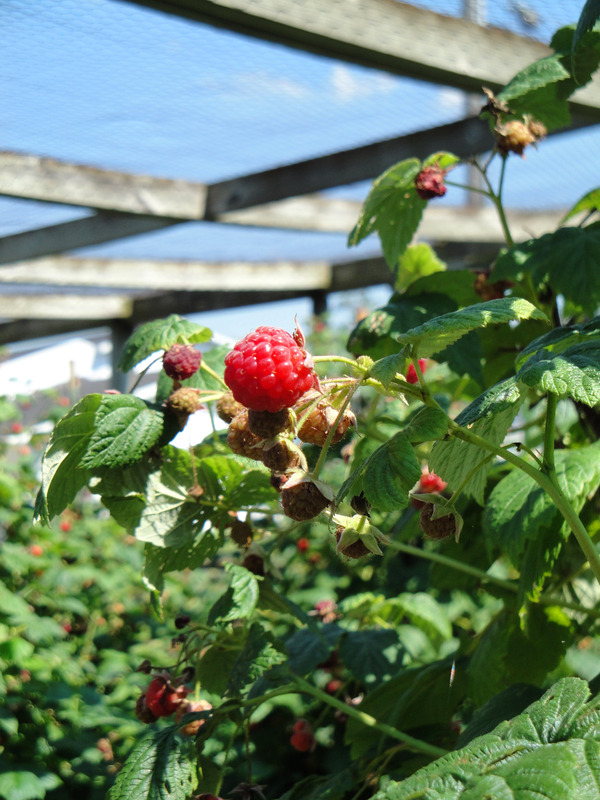 And with the wonderful memories fresh on my mind and the taste of home-grown raspberries on my lips, I headed back to Iowa to make a special dessert to honor my Papa…and his Raspberry Patch! You have GOT to try this one. Ryan loved it. Our friends Jeremy & Sara indulged in a hefty serving. And even I, the no-so-into-sweets-girl, loved it! And really…it is pretty easy. Be patient…and enjoy! 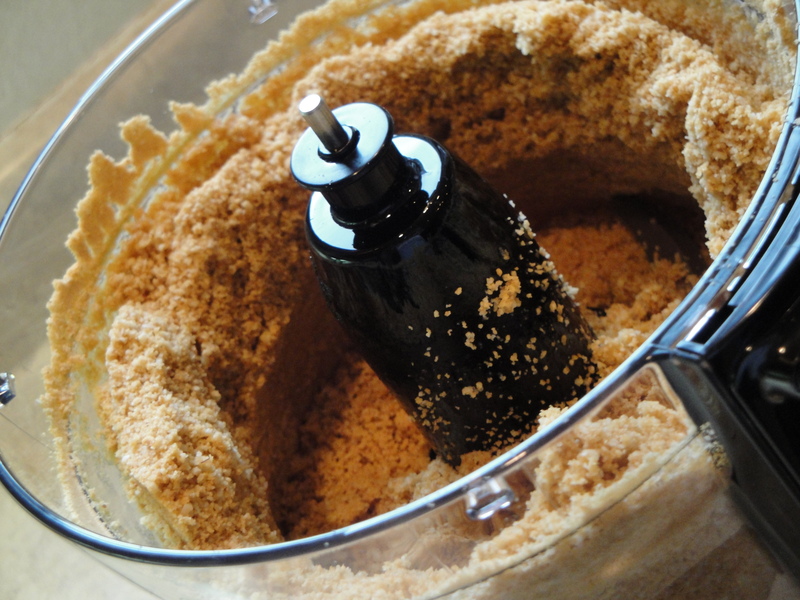 Finely grind almonds and crumbs in a food processor and add butter, blending until combined. Press over bottom and 2/3 up side of a 10-inch springform pan. Make filling: Preheat oven to 350 degrees. 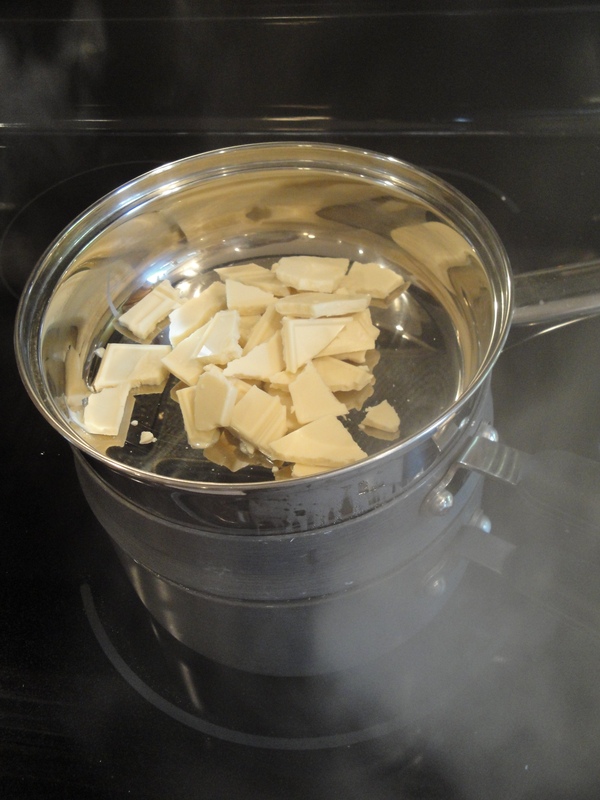 Melt chocolate in double boiler or a large metal bowl set over a saucepan of simmering water, stirring until smooth, and remove from heat. Beat cream cheese with an electric mixer at medium speed until fluffy, then beat in sugar. Add whole eggs and yolks, 1 at a time, beating well at low speed and scraping down bowl after each addition. Beat in flour and vanilla until just combined, then add melted chocolate in a slow stream, beating until filling is well-combined. 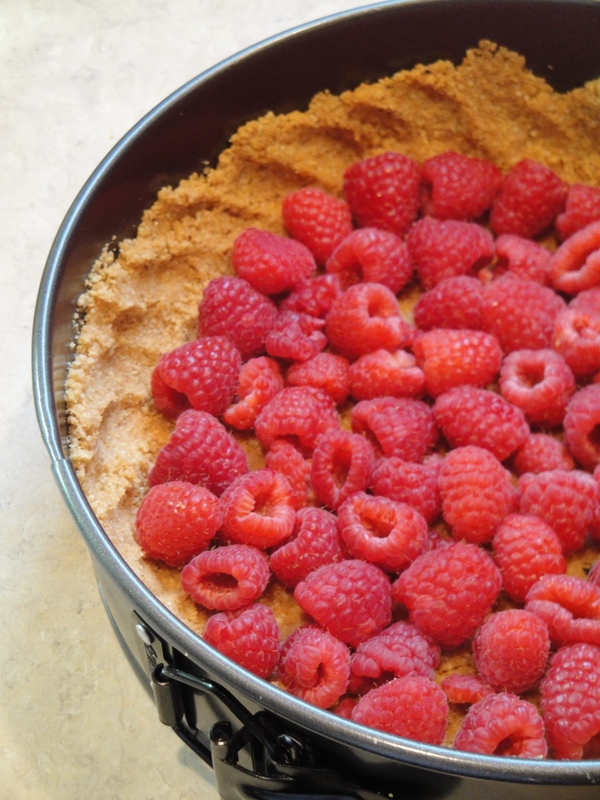 Arrange berries in 1 layer over crust and pour filling into crust. Bake in the middle of the oven until cake is set 3 inches from edge but center is still wobbly when pan is gently shaken, 45 to 55 minutes. Run a thin knife around edge of cake to loosen, then cool completely in pan on a rack. (Cake will continue to set as it cools.) Chill cake for min. of 3 hours. Slice and Serve chilled. 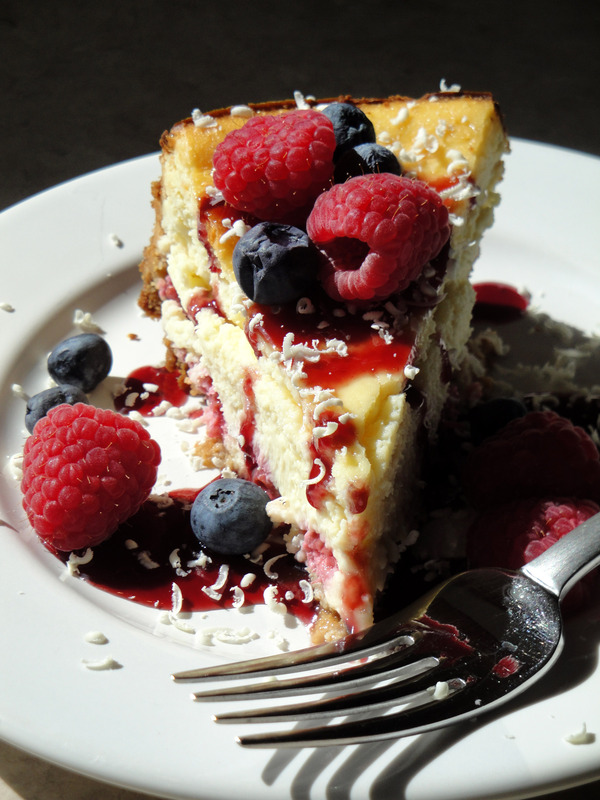 Garnish with raspberry jam, white chocolate shavings, fresh raspberries and blueberries. 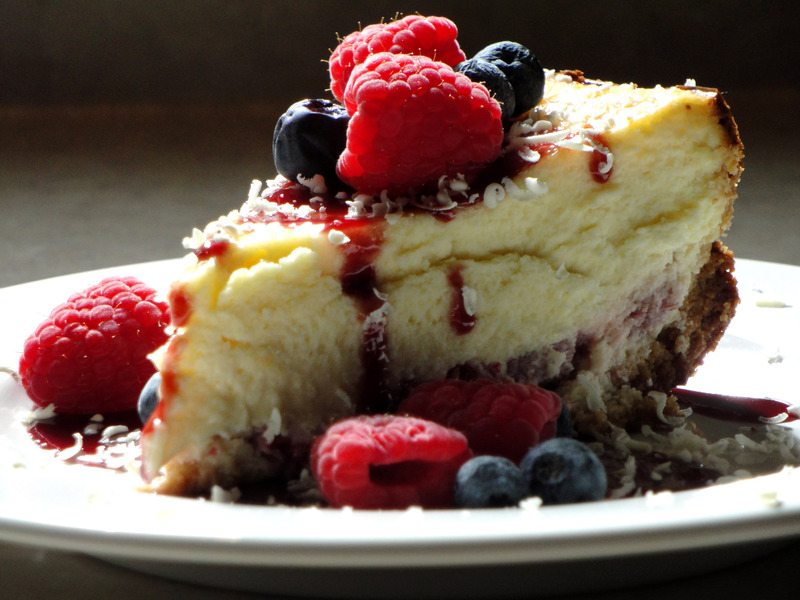 You can’t go wrong with this beautiful and satisfying cheesecake! Treat yourself or a loved one this weekend. Enjoy! 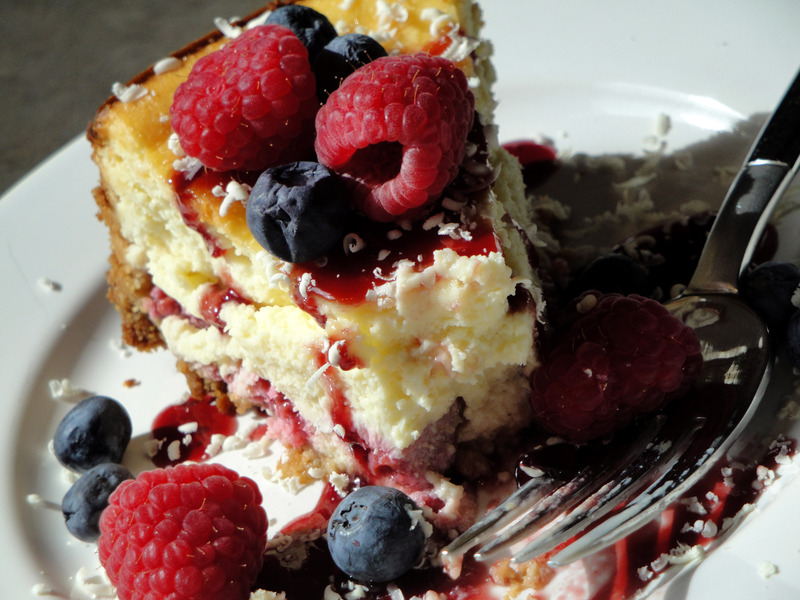 Nice work Robin… these pictures certainly do this delicious cheesecake justice! 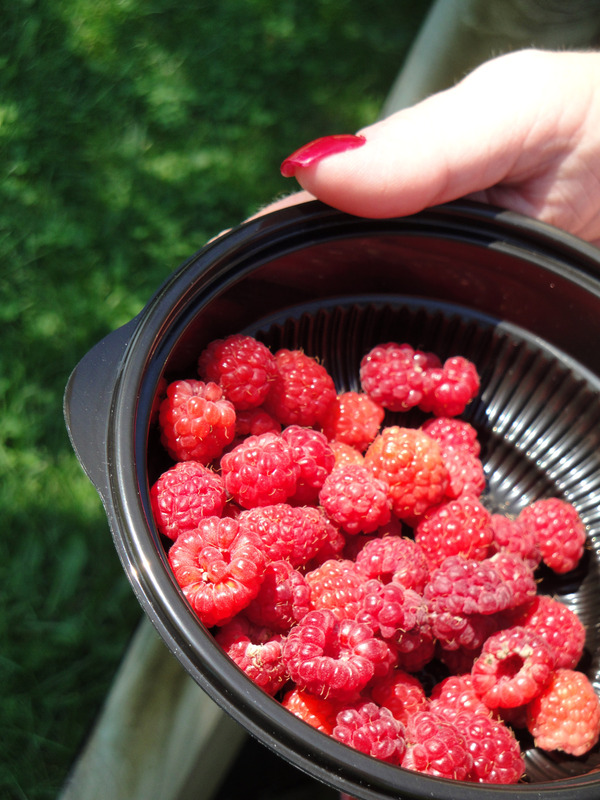 My mouth is watering… sure am glad I have more of this in the fridge! Hi Robin! Love your blog. 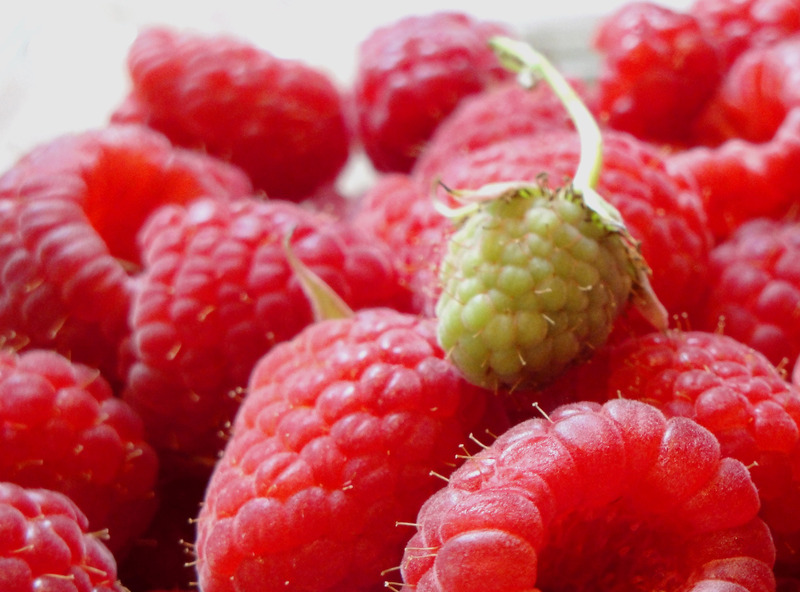 I’m going to try the white chocolate raspberry cheesecake recipe today. Looks yummy! Hope things are great with you and Ryan, and that you’re enjoying your summer.